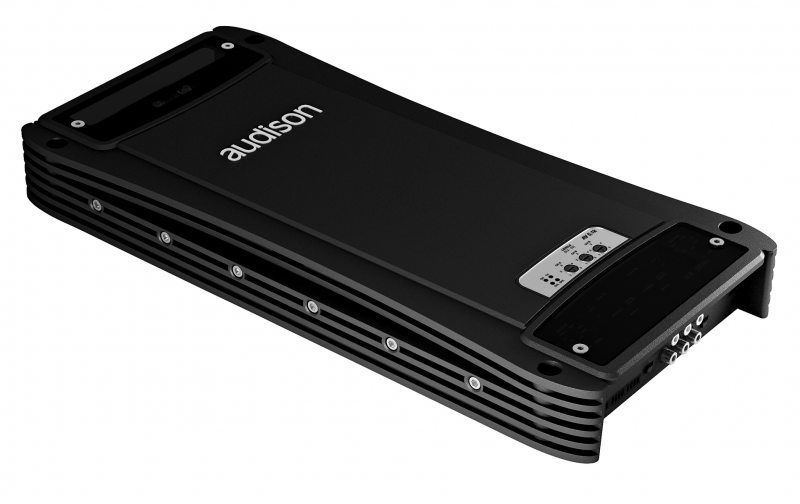 Digital interface for all AV amplifiers, for perfect digital connection with Audison bit processors provided with AD Link and AC Link connections. By mounting the AV bit IN “Digital Interface” onto the Voce amplifier series, through the AD Link connection the S/PDIF digital signal will get directly to the high quality internal D/A converters. After these, the signal becomes analog and is immediately amplified preventing it from deterioration due to the long paths. The result is extremely high quality music, not achievable with any other analog system. It offers one AD Link and AC Link input, as well as one AD Link and AC Link output in order to drive a multi-amplified system. Thanks to its digital panel with 3 character display and 4 push buttons, you can select the amplifier type, mono or stereo mode, and also the digital channel coming from the audio processor. 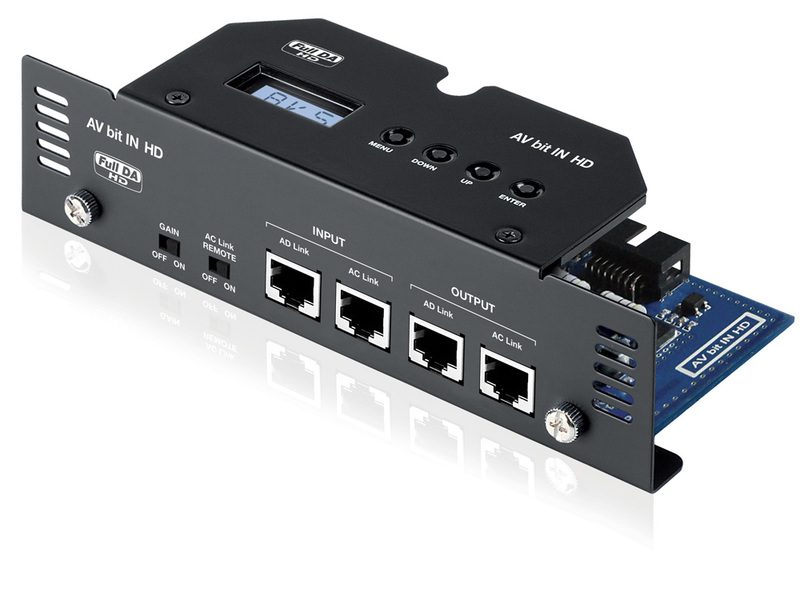 AV bit IN HD features two new switches on the front panel: one provides you with the ability of turning off the gain control of the amplifier to achieve an improved Signal to Noise ratio. With the second switch you can control the DSP remote start function. Connection to amplifier: remove analog crossover module and insert AV bit IN module into the amplifier’s front side. It requires no external power supply. When you drive the subwoofer in mono, you can use VCRA Analog Remote Control by connecting the External Subwoofer Volume to the special SUB VOL socket. 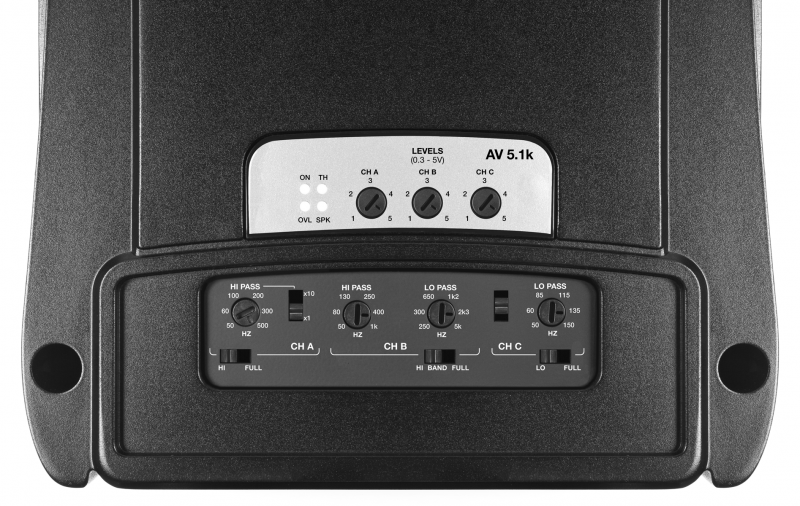 AV 5.1k, 1650 W (RMS) max, five-channels: with its hybrid design, it is the specialist amplifier for front + rear + subwoofer or multi-amplified front + subwoofer systems. Its high-quality AB Class output stage provides two channels with 250 W (RMS), combined with another pair of A class pure audio channels rated at 75 W (RMS), perfect for active two-way front speaker systems. The D Class mono section provides 1000 W (RMS) for an efficiency and powerful subwoofer output. AMP (Amplifier Management Processor) constantly checks the operating status system and communicates with the user through 4 different coloured LEDs, located on the top panel; ART (Automatic Remote Turn On-Off) allows automatic turn-on/off when a remote signal isn’t available from the source. According to the definition of HiRes audio provided by JAS (Japan Audio Society - jas-audio.or.jp), Voce amplifiers exceed the above 40 kHz bandwith analog requirement, providing an astonishing 4 ÷ 60k Hz (@ -3 dB, 2 VRMS, 4 Ω).